Home News First Trax Ullr is Calling…Here. We. Go! Ullr is Calling…Here. We. Go! Excellent looking conditions at App Ski Mountain yesterday! After a week full of hype about the potential of a significant winter storm, the weekend is here and Ullr is thankfully going to bring some magic to the North Carolina mountains. The first major snow storm of the season is at our doorstep and the stoke level is at an all time high for many. A foot plus of snow is likely for the more southern ski areas in the region, while everyone else is experiencing a stretch of colder temps that is allowing for some very productive snowmaking. Good times! Well, with the stoke level so high due to the impending snow in the North Carolina mountains, I figured it was a good time for me to pop in and do a First Trax report. 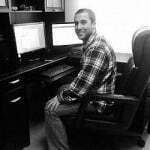 This is Kenny by the way and I’m here with you all this morning, currently geeking out looking at weather models once again. I say once again because that has been a theme of my week. 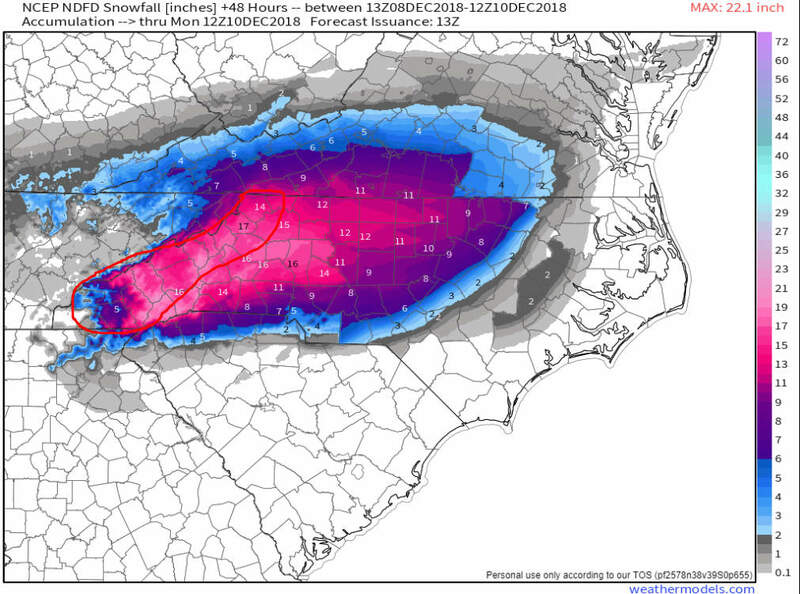 Every three to six hours I’ve scurried to a computer to see what the latest update is and each time the models have laid out the same scenario…a major snow for the NC mountains. As in a possibly historic snowfall. I cannot tell you how bummed I have been all week as I was originally slated to be in Pennsylvania this weekend for a family event. Terrible timing! My mood has been on the lower end of the scale to say the least. Luckily, while still in the Washington DC area last night before driving up to PA, my (amazing, lovely, beautiful) wife gave me the okay to fly back early and partake in all of the fun. So here I am. About to pack up and head to the mountains for what looks like a ridiculously fun 24-30 hours. I am in debt to my wife for a few months (she already has us scheduled to go to a Christmas cookie baking party next week), but I have no doubt it’ll be worth it. The forecast is that good. Like myself, David McCue has made some last minute changes to his itinerary in order to experience this storm. I am actually meeting up with him later today and we are staying with messageboard member killglobalwarmingnow at the base of Sugar Mountain. First tracks tomorrow! David submitted his latest article where he gives you all some visual examples of what you can expect in the coming days if you’re lucky enough to make it to the slopes. You can read it by clicking the link below. Let’s talk about that forecast now as it’s pretty much locked in at this point. The North Carolina ski areas are going to be the BIG winners with this system. Every single snow forecast I’ve seen has all of the NC ski areas getting at least a foot of snow. The National Weather Service is thinking the same and has a forecast of 14-20″+. The latest NWS snowfall forecast. I’ve circled the NC mountains in red. Our own Brad Panovich has a very similar snowfall forecast range. He sent in his latest skier’s forecast last night and you can watch it below. The craziest part about those snowfall numbers is that it all falls primarily in a span of about 18-24 hours. We’re talking snowfall rates of an inch an hour, probably more at times. Basically, if you’re skiing or riding tomorrow in North Carolina you’re going to have free refills all day! While the snow quality won’t be of the highest quality, it’s going to be deep. If you’ve never ridden in Sierra cement before, it’s fun and very floaty. Earlier this week I thought the upper low on Monday might provide the better skiing and riding conditions as the snow quality might be better (NW Flow), but the event is now going to be pretty much limited to Saturday night and Sunday. Sunday Funday! Weekend warriors like myself finally score a big storm that doesn’t happen during the work week! While this is going to be a very North Carolina focused storm, you can see in the NWS forecast map above that the snow will spill northward some into southern West Virginia and Virginia. Winterplace, Wintergreen, Bryce, Massanutten, and The Omni Homestead might be able to eek out a few inches. It’s not too often that Snowshoe and the Canaan Valley area are left out of the snow fun, but they get their fair share most other times anyways. I’m going to do a state by state look at how things stack up right now. For a complete look at current conditions, head on over to the SNOW REPORT page. With the exception of Sapphire Valley who opens next weekend, all of the ski areas are now open in the Tar Heel state. 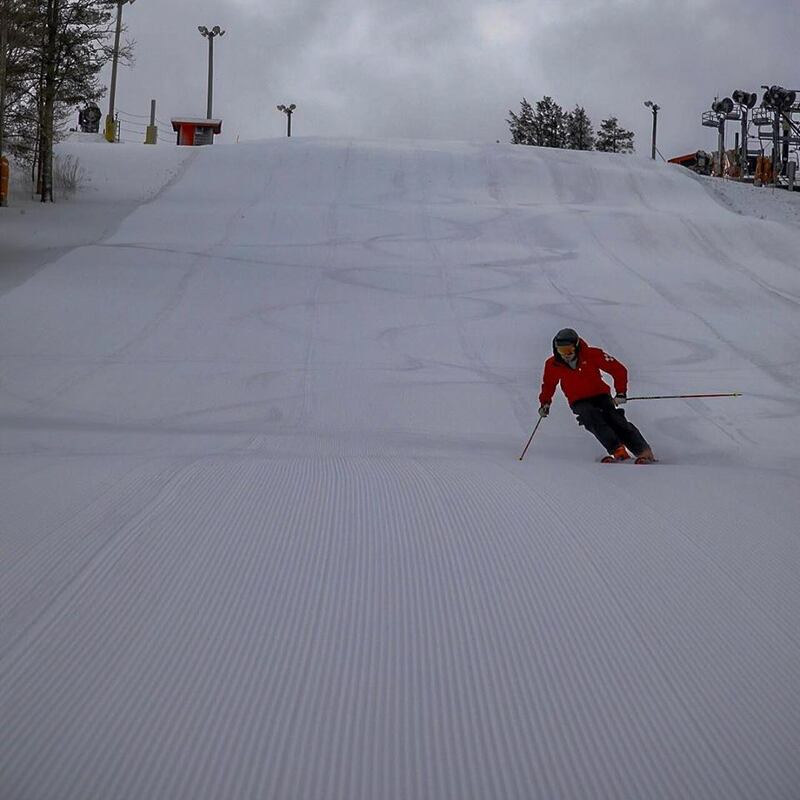 Wolf Ridge began their season yesterday so we now have five open ski areas. Conditions will only get better in the coming days and look for trail counts to be boosted as well. The snow has started to fall at Cataloochee already. The beginning of a fun couple of days! It’s been a slow start to the season for the VA resorts, but things are starting to ramp up. Wintergreen and Massanutten officially open for the season today, although both were open yesterday for season pass holders. I think that is an awesome thing to do personally and a great gesture from both resorts. Bryce Resort also opens for the season today at 10am. Hopefully they can get a little better at promptly updating the snow report in the mornings this season as it still shows 0 trails open! The other VA ski area, The Omni Homestead, opens sometime in the near future. I’d imagine it’ll be sooner rather than later. Snowshoe remains the lone WV ski area open right now and so far this year the investment in snowmaking during the offseason is paying HUGE dividends. Conditions look fantastic up there right now, as evident by the video below, and they are even opening Cupp and Upper Shay’s tomorrow. When’s the last time that happened this early? The other three resorts, Canaan, Timberline, and Winterplace, are yet to open. Canaan and Timberline are slated to open next weekend though (Canaan is actually open for tubing today), while I’d imagine Winterplace will do the same. They’ve all been making snow in preparation and the whales are growing at Canaan. I may have focused too much on the North Carolina resorts when talking about the incoming snow. Lost in all of my excitement for the NC ski areas was the fact that Ober Gatlinburg is going to see some natural snow as well. They won’t be in the heart of the snow but the current NWS forecast shows 5-9 inches of sleet and snow. Hopefully it’s more snow than sleet. While the ski slopes aren’t currently open at Ober, tubing is. Tubular. Wisp Resort currently isn’t open, but it looks like they could be. A combo of some natural snow this week with snowmaking has the mountain looking good from what I see on the webcam. Their targeted opening date is Friday, December 14th. It’s time for me to get my stuff together and head to the mountains. Hopefully you can do the same and get some powder turns in this weekend. Stay safe if you are driving in the NC mountains as road conditions are going to deteriorate quickly. Don’t go up Beech Mountain Parkway unless you have four wheel drive! Finally, make sure to follow us on Instagram, Facebook, and Twitter as I’ll be posting stuff today and tomorrow on there. We all know powder days don’t count unless there’s evidence of it! Next articleTHE BIG SNOW STOKE IS HIGH!